Erin Manning is a woman like no other. She is all of an educator, author, and TV personality with an interesting story to tell about how she began her career. Aside all these, she is equally the wife of a famous American sports television personality and boxing commentator – Max Kellerman. The couple has been married for many years now and unlike what is typical with celebrity marriages, there have not been any controversies following them. Here is their story as a couple; how they started and have been navigating the tides of marriage as one pair. But first, let’s get acquainted with all there is to know about Erin. Erin was probably born sometime in the late 70s or in the 80s, her actual date and place of birth have remained a fact only known to her and perhaps her husband by extension. In the same vein, she has not deemed it fit to reveal details about her family members, whether or not she has a sibling and what schools she attended prior to going to college. Sadly, this is in contrast to her husband whose background detail is well known. Erin as a photographer started off quite early in life. She took a fancy of photography after going through a book titled ‘The Family of Man’. The book was an ambitious photography exhibition curated by Edward Steichen the Luxembourg-American painter, photographer, art gallery and museum curator. This happened when Erin was 7 years old, but from such a young age, she already knew she wanted to make a career out of photography and pursued same thereof. Manning began her professional career as a portrait and stock photographer. At this same time, she secured a job with the private visual media publishing company, Getty Images, Inc. Erin had a specialty in lifestyle imagery and her mastery of this served the needs of clients like Bank of America, various healthcare organizations and individuals, Disney, AT&T and of course lifestyle magazines. In the course of time, Erin Manning became the host of Discovery Inc. owned DIY Network show, Enable Your Home. Her hosting of this show was followed by her landing of another role as the host of DIY Network show The Whole Picture series. In the series which ran from 2005 through 2009, Manning was aptly introduced as the digital photo expert for the photo enthusiast. While hosting this series, she created educational video contents and articles in 2007. This was in partnership with Canon USA, Inc; a Japanese owned multinational corporation that manufactures imaging and optical products, SanDisk; a flash memory product manufacturer, Adobe Inc.; an American multinational computer software company and F.J. Westcott; a company that creates innovative lighting solutions for all photography and filmmaking styles. Aside from working with multinational corporations on various capacities, Max Kellerman’s wife has put down her knowledge about photography and the business of photography in 3 books. She authored ‘Portrait and Candid Photography’ which was followed by ‘Make Money With Your Digital Photography’ and ‘Portrait and Candid Photography: Photo Workshop, 2nd Edition’. Of the three books, the first was published in 2007 while the latter two were published in 2011. The global publishing company – Wiley which is known in full as John Wiley & Sons has credit for publishing all 3 Erin Manning’s books. Sometime in the year 1994, Max Kellerman and his college sweetheart Erin Manning became husband and wife. The two have been married since then with no negative tales following their marriage. Their union has seen to the birth of three children named Esther Kellerman, Sam Kellerman, and Mira Kellerman. Their son Sam Kellerman was named after Max’s late brother Sam Kellerman. The late sam according to Max was the best writer in his age prior to his death. He was found dead in his apartment in the 1400 block of Vista Street in Los Angeles. Following investigations as to what led to his death, James Butler who was a former professional boxer (1996 to 2004) was arrested in connection to the murder. He later confessed to killing Sam and was handed a 29-year prison sentence. Erin’s works have been several appreciated with various award recognitions. Between 2006 to 2009 she won a total of 7 Bronze and 2 Gold Classic Telly Awards for hosting DIY Network’s The Whole Picture. In 2010, she got awarded with 1 Silver Telly Award for co-producing, writing, and hosting the educational video More Digital Photo Basics. In 2013, she won 1 Bronze Telly Award for producing, writing, and hosting How to Use the Storyteller App for Crystal Cruises. The professional photographer and educator has conducted a few online trainings in the past. 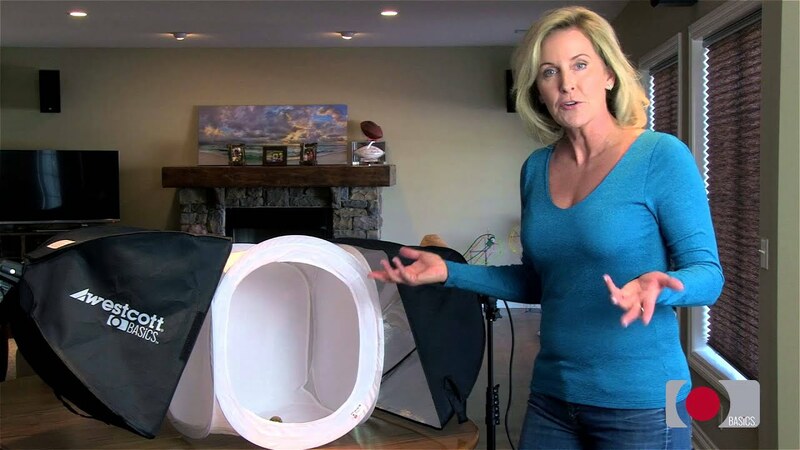 They include Up and Running with Lighting: Natural Light with Erin Manning on Lynda.com in 2013, How to Take Your Own Headshot on CreativeLive in 2014 and some others. Erin Manning has been hit once by her husband. The incident happened while they were still in college at a party where they were both drunk. Perhaps you might have bumped into the profile of another woman who goes exactly by the name Erin Manning. This other Manning is certainly different from Max Kellerman’s wife. Her online profile states that she is a Canadian cultural theorist and political philosopher. In addition, she is into arts with a focus on dancing, fabric designs, and interactive installations. This Erin earned a Ph.D. in Political Philosophy from the University of Hawaii in the year 2000 and at the moment, she teaches in the Fine Arts Faculty of Concordia University. To the best of our knowledge, Erin Manning the photographer and Max Kellerman’s wife is not related to this other Erin Manning who is a cultural theorist, political philosopher, and art teacher. At best, their’s is a case of two different people answering similar names. Other stories we have covered about celebrities having similar or near-similar names are about Ethan Sandler and Adam Sandler, Chris Sarandon and Susan Sarandon, Stephen Belafonte and Harry Belafonte, Jojo Gomez and Selena Gomez and many others.